The grass clippings winter warm up, the first ever grass clippings event, more than doubled the maximum occupancy of Brooklyn’s Bar4 on Friday night. In the midst of a few whiskeys and some uncontained dancing, we actually even (accidentally) broke the maximum occupancy sign, but its back up now. While we are sure you can party, we are so pumped that you didn’t come by. 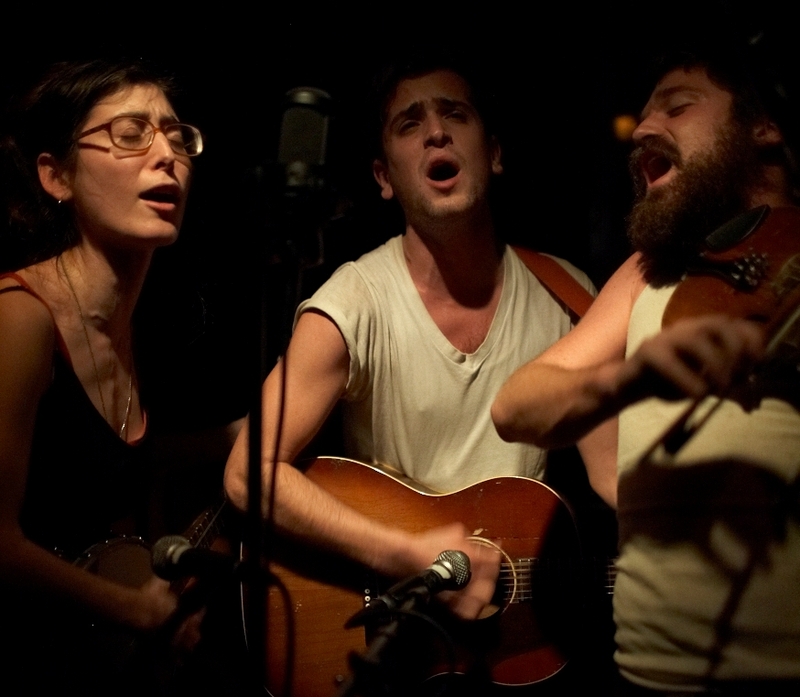 Making their New York City debut, The Parlor Soldiers opened up the night and quickly wooed the crowd with their old time sound, southern charm and memorable talent. These guys rocked. We want them back. After a quick switcheroo, Jus Post Bellum took the stage for a set filled with the band’s stunning minimalist sound that transcends time. The songs of Geoffrey Wilson told us stories of long ago with the sweet backing vocals of Hannah Jensen. But not to be outdone, Hannah took the lead vocals for a Gillian Welch cover that made us wish the set was longer. By 10PM as Spirit Family Reunion hit the stage, both the rowdy and the reserved let loose for a set of foot stomping tunes that will not be soon forgotten. Banjo showed up at the end and I held him up on stage like Simba. He demanded an encore, so Spirit led the crowd with one more: “I’ll Find a Way,” which won many souls. The whole night is a bit of a blur. Bar4 served so many drinks that they ran out of glasses. Someone took Banjo’s bandanna. I woke up fully clothed for the first time in a long time. Here are a few pics from the event. We do plan to do more of these parties, so be on the lookout. P.S. Thanks so much to all who made it out and made this event so memorable. Huge thank you to each of the bands and to Bar4 for hosting us. All photos by Charlene Kim. She would LOVE to shoot (photos of) your fam, dog or wedding. Dig it. Wish I could have been there.